Tissue culture is a generic term for organs and cell cultures. The termis used interchangeably. Cell cultures come from cell suspension and primary tissue explants. Primary cell cultures have a finite life span. Tissue culture is a technique or process of making tissue grow in a culture medium that is outside the organism. When direct access to cells is needed, culture dishes are the choice formats. The cell culture dishes used in the process must be sterile. Anchorage dependent cells need an optically transparent surface that is nontoxic and biologically inert so that cells can attach and have movement for growth. Cell culture dishes are among the most critical group of products used in modern research laboratories. The dishes should be designed with a focus on handling and stacking performance that ensures carefree, yet safe usage. A handling ring provides safety during expansion and transportation of cells. NextDayScience provides cell culture dishes that are specially treated, sterile, and disposable. 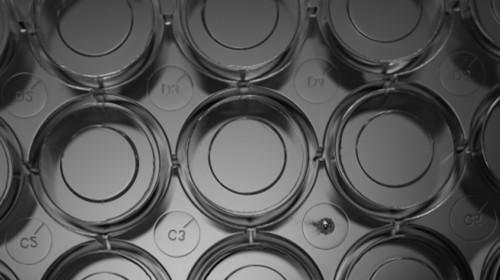 The cell culture dishes ensure the most reliable and reproducible results in every stage of cell culture. NextDayScience keeps research on a cutting edge. They maximize yields while maintaining superior reliability and quality. The cell culture dishes meet a myriad of effective bio production demands. Uses and applications of bioscience are growing exponentially. The surface of cell culture dishes has evolved over the last century. The NextDayScience choices include a variety of surfaces, sizes, and formats. Their portfolio of cell culture dishes contains products used in the industry that require performance and quality. Researchers can carry on their work confidently. Lot-to-lot cell line testing is used to ensure consistency. NextDayScience cell culture dishes are designed to promote cells that are healthy and results that are reproducible. For reproducible results and healthy cells, cell culture dishes must be of excellent optical quality for automated or manual imaging. All cell culture dishes are manufactured under stringent quality control to ensure consistent batch to batch performance. Some cell culture dishes are treated for mammalian cell growth. Others, used for bacterial culture, have no coating. NextDayScience cell culture dishes are treated with a method called Vacuum Plasma that delivers a consistent and hydrophilic surface for cell attachment. The growth surfaces are flat to maximize usable growth area and transparency. What is the difference between treated and untreated cell culture dishes? Cell culture dishes are manufactured to ensure cell integrity and eliminate materials. They are ideal for cell harvesting and cell culture. Untreated cell culture dishes have a hydrophobic surface. Dishes that are plasma treated become hydrophilic and negatively charged which allows cells to attach and multiply. What do the terms 'hydrophobic' and 'hydrophilic' mean? Hydrophobic means the surface repels or fails to mix with water. Hydrophilic relates to or has a strong affinity for water. What type of cell culture dishes does NextDayScience carry? The high-clarity polystyrene cell culture dishes come in four sizes: 35, 60, 100, and 150 mm capacity. All are available in treated and non-treated varieties. Each has a flat transparent surface that allows observation that is distortion-free. The vacuum plasma tissue culture treatment makes for excellent cell adherence. The cell culture dishes are packaged in easy-tear sterile PA/PE packaging film. They are stackable for easy handling and storage. Two of the 100 mm varieties have gripping rings. Cover slip preparation dishes are individually packed and come with a user guide and tweezers. The cell culture dishes have gas exchange vents. They are non-Pyrogenic and sterilized by E-Beam.